Home › Gilbert Al Masterson, M.D. Dr. Masterson completed his Residency in Adult Psychiatry at Harvard University School of Medicine and his Fellowship in Child Psychiatry at the University of California, Los Angeles (UCLA). 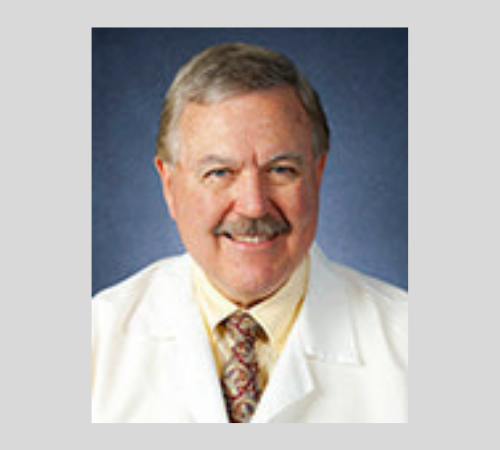 In Grand Rapids, Michigan he has served as Medical Director of Inpatient/Partial Child & Adolescent Psychiatric Services, Medical Director of ADHD Institute, Medical Director of Adolescent Residential Services and President of Medical Staff at Pine Rest Psychiatric Hospital. He also served as Medical Director of Inpatient Psychiatric Services and Medical Director for the Trauma Recovery Center at Forest View Psychiatric Hospital. Dr. Masterson divides his time between Grand Rapids, Michigan and Akron, Ohio where he serves as Medical Director of Inpatient Psychiatric Services at the Cleveland Clinic, Akron General. When he is not working, Dr. Masterson spends his time with his wife and family. 1971 – 1975: UNIVERSITY OF OREGON – Eugene, Oregon. B.S. in General Science. 1976 – 1980: LOMA LINDA UNIVERSITY SCHOOL OF MEDICINE – Loma Linda, California. M.D. Degree. 1980 – 1981: ST. LUKE’S/DENVER GENERAL HOSPITAL – Denver, Colorado. Rotating Internship. 1981 – 1983: HARVARD UNIVERSITY SCHOOL OF MEDICINE – Boston, Massachusetts Residency Training in Adult Psychiatry. 1983 – 1985: UNIVERSITY OF CALIFORNIA AT LOS ANGELES – Neuropsychiatric Institute, Los Angeles, CA. Fellowship in Child Psychiatry. 1985 – 1988: UNIVERSITY OF CALIFORNIA, LOS ANGELES – Los Angeles, CA; Neuropsychiatric Institute. Director of Training for the Child Psychiatry Program.Chief of Psychopharmacology Clinic. Assistant Clinical Professor of Child Psychiatry. 1991 – 1993: KNOLLWOOD PSYCHIATRIC AND CHEMICAL DEPENDENCY CENTER – Riverside, CA. Medical Director of Inpatient Psychiatric Services. Medical Director of Inpatient Chemical Dependency Services. 1993 – 2001: PINE REST PSYCHIATRIC HOSPITAL – Grand Rapids, MI. Medical Director of Child & Adolescent Psychiatric services. Medical Director of ADHD Institute. Medical Director of Adolescent Residential Services. President of Medical Staff (1997-1999). 2009 – 2015 PINE REST PSYCHIATRIC HOSPITAL – Grand Rapids, MI. Medical Director of Inpatient/Partial Child & Adolescent Psychiatric Services. Assistant Clinical Professor Psychiatry Michigan State School of Human Medicine.